What could be yummier than butterscotch? The Kacy takes this rich color and gives it an uptown vibe with an angled collar and chic front strap with buckle detailing. The perfect finishing touch? 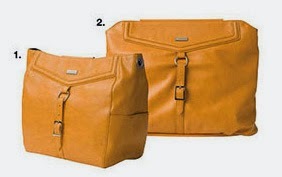 with side pockets and a back zippered pocket, Kacy gives you the storage space you need to rock the city in style.